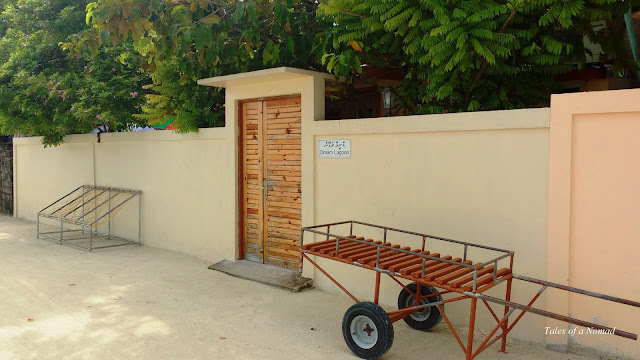 A short walk along the narrow sandy roads of Maafushi takes you from the ferry terminal to Dream Lagoon guest house. 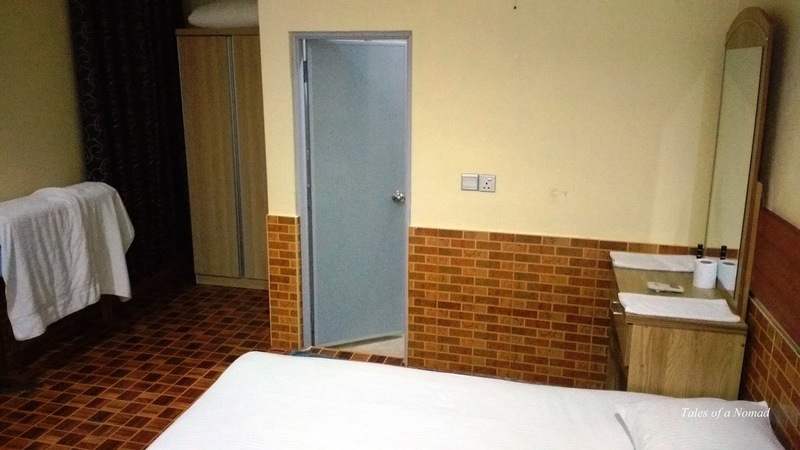 All that you can see of this place from outside are its neatly painted walls and the wooden entrance door. Enter the guesthouse and this well maintained place has a nice little outdoor seating area, a reception space and 4 rooms. The rooms have a double bed, attached bath and all the basic facilities such as air conditioners, closets, free wifi, towels, toiletries etc. Rashid, the front desk manager is a pleasing person who is ready to help you with directions to places, currency exchange and activities. 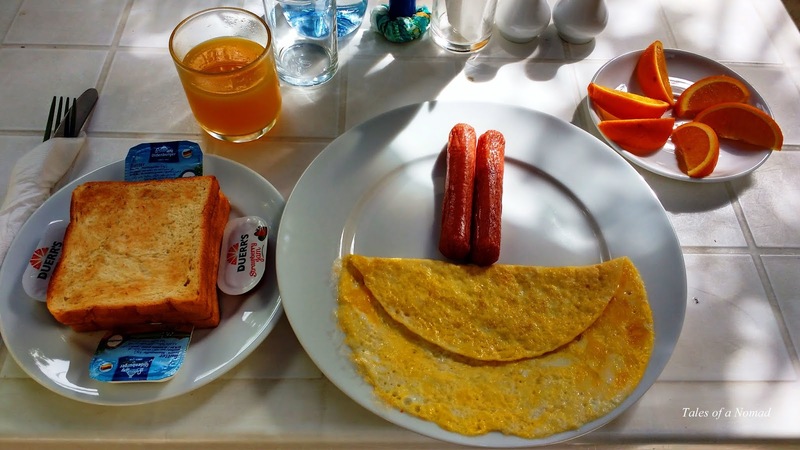 The guest house also offers complimentary breakfast and a welcome drink on arrival. 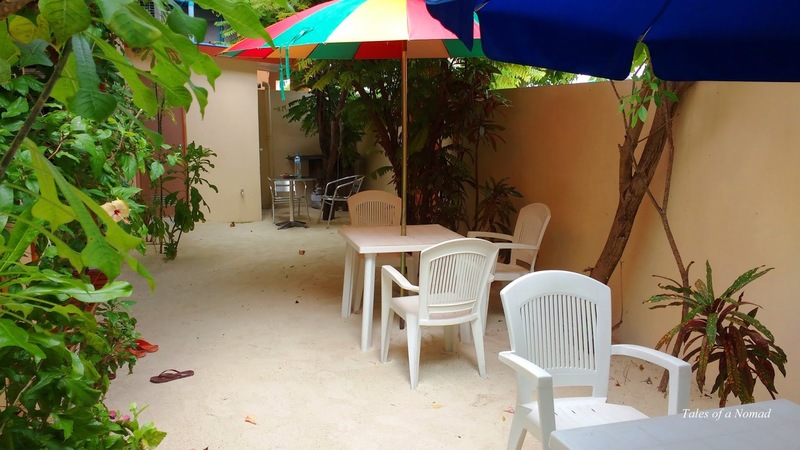 Dream Lagoon guesthouse is a good budget option to stay in Maafushi and is well recommended. The tariff is $ 30 (approx.) + 12 % VAT + 10% Ser. Tax + $3 environment fee (per person per night). 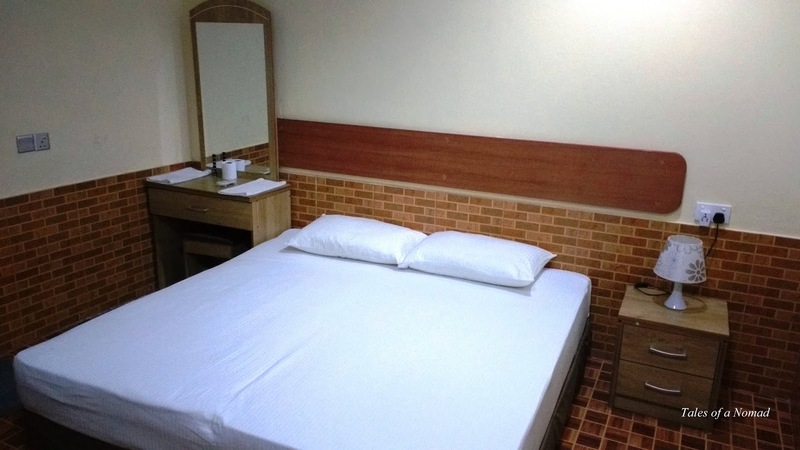 I stayed in the month of May, which was the end of high tourist season and hence the tariff could vary during tourist season which is from October to March. Cleanliness: The rooms, baths and common spaces are immaculate. Staff: Rashid and his team are friendly, courteous and always ready to help. They receive guests at the ferry terminal and also accompany them back to the terminal after checking out. Breakfast: When on a budget trip, complimentary breakfasts are always a saving. Activities: Rashid can help you with activities such as snorkeling, sunset fishing, resort visit etc. You need not go searching for the same across the island. Yeah, it's a lovely place. Great place for a budget tour of the Maldives. I will definitely consider Maafushi the next time I visit. Yeah, glad you liked it. Am sure you would enjoy the place.